"Never Underestimate the Power of Response Time in Customer Service." Most IT Vendors are a several day long process of getting something fixed. The running joke is that 24/7 support actually means they will respond within 24 hours, and sometime in the next seven days, they might just fix your problem. NOT SEARCHSPRING. I am literally in a situation where their response to my needs is SO FAST, I don't even have my ducks in a row. Evan is like having Barry Allen do support. There is a blur, and then it is done before you can say...wait...that's fixed? Literally nothing to dislike. I'm actually stuck here trying to fill forty characters to say I am NOT unhappy for any reason. Don't just think about search. ASK ABOUT VISUAL MERCHANDISING....this is the thing that will increase your revenue. And don't miss out on the special fields. Use the Filters as much as you can, it's the difference between looking like an "also-ran", and looking "top shelf", which is what the filters and visual merchandising bring to the table....AND ASK ABOUT DATE CONTROLLED VISUAL MERCHANDISING....Chistmas is coming. They say they are a Search Engine company. It is a misnomer. They do much more. Until you have actually USED the Visual Merchandising Tools, and applied filters to landing pages allowing customers to narrow down their results sets, you haven't scratched the surface of that this application can do. Long Story short, Except for the Product Page and Shopping Cart Itself, almost all of our web content is little more than a specific result set pulled from SearchSpring. But as for benefit, the real benefit is the service. The actual ability to understand WHAT I want, and make that desire a reality. Without fail. Every time. Aside from the search technology, which is the best that I have come across, Searchspring manages to impress on the support side 100% of the time. For example, when dealing with other vendors, I often submit tech support tickets, wait for a response, and then realize that I need to have my issue escalated. With Searchspring, my requests are handled initially by experts who are able to solve my problem immediately without escalation. Their front line staff are extremely knowledgeable and are considered subject matter experts in their respective fields. I felt like I was dealing directly with a programmer who was able to make the changes required immediately. As with most things, you get what you pay for, and Searchspring is no exception. For smaller stores, their pricing plans may be a little on the pricey side, but for omni retailers like us, we consider it money put to good use. Their handy dashboard will tell you exactly how much more revenue is being generated as a direct result of customers using their search. We deal in wine, so there is an incredible amount of variation in what users will search for to find a specific bottle. There's name, producer, vintage, colour, style, grape, and more. Searchspring's smart search technology, combined with their platform's high level of customizability allows us to handle a wide range of queries while minimizing ambiguous results and even redirecting misspellings and synonyms. This has allowed us to deliver more relevant results for searchers who are already short on time. This has lead to increased conversion rates and our users who use search are 3.2 times more valuable than those who do not. What E-Merchandising solution do you use? "Great technology that's always improving"
I've been a customer for over 5 years and I've honestly never had an issue with the service. It's never gone down that I've seen - ever. If you use SAS apps even a little, you know this is unheard of. If I have a question, support gets back to me within an hour, and it's never with a link to a kb article or generic reply. There are always specific instructions and they work with you until you're satisfied. The reporting tools are top-notch and they constantly add great new features (like Visual Merchandising) for no cost. Not only that, reps reach out when they add new features to make sure you understand the concepts and how to implement them. Truly a first-class organization top to bottom. I have not found anything about Searchspring that I don't like. You won't be sorry. Their developers are patient and easy to work with, and the platform is so flexible you can do just about anything you want. Reporting is top-notch, support is excellent, and the pricing is fair. Searchspring allows us to provide great search and faceting services to our customers. We're on a hosted e-commerce platform, and the search functionality left a lot to be desired, which led me to seek out 3rd party providers. Searchspring's technology and ease-of-use stood out from the competition, and their pricing model is both fair and affordable for a small business - something that couldn't be said about their competitors. "SearchSpring: Peerless Service, Dynamic Tool"
SearchSpring and its Account and Technical Teams have been true partners in our endeavors to further optimize our Search function and CRO. David and his team always have helpful answers at the right time and their technical support doesn't treat tickets like chores. I also never feel like I am being spoken down to, or have functionality explained above my level of understanding. On top of the world-class service, SearchSpring provides a tool that helps us provide support for nearly a quarter of our revenue, ensuring that users are able to find specifically what they are looking for, as well as what we want to make sure they are able to see. The tool can be a little manually burdensome. Adjustments are not automated and specific instances of keyword or search term mappings and assigned synonyms have to be entered manually. This provides legitimate optimization but can become very time-consuming. If you have a dedicated marketing team that can spend time analyzing and actioning the findings from SearchSprings report and dashboard, the tool is worth its weight in gold. If your team is lean and you do not have enough time to make the manual changes to your account, the granularity of the tool may be more of a hindrance than a help, but you will still have access to actionable data at any time. SearchSpring provides a much more robust and dynamic set of search algorithms than Magento's out of the box search tool. We are able to set weight by title, category and product type with are all necessary to create the correct results for our customer base. Additionally, SearchSpring provides several means by which to promote certain products within the results page, allowing us to specifically merchandise key items to targeted customers. While I love the platform and the results we've seen from it, the real kicker is how good their support is. I would not consider another platform - even if it claimed superior functionality - because of how comfortable I am with the support their team provides (from sales to mundane requests to technical integrations). For a retailer with very high sku counts (hundreds of thousands) the visual merchandising tool is less useful, as I would need to be able to write rules that pull in many thousands of products into a campaign, which I cannot do today. There are ways I can use it that are useful, but somewhat limited. SearchSpring acts as the core search and category page functionality for all our e-commerce sites. We see significant lifts in conversion when customers leverage site search, or one of the many vehicle/part finders we have built with SearchSpring's help on our sites. "Feels like a partnership, not a simple customer-provider relationship." - The quality of the service. Being a high-volume retailer with a big IT team often brings us to try new things and having unique questions and needs. Our manager at SearchSpring is always available and incredibly proactive. We appreciate a lot the fact she is always in solution mode to provide us with the most value possible. Having issues fixed without many runs of back and forth allows us to focus on our business. We really appreciate the fact we get to preview beta versions and have have honest ETAs on new developments or fixes. - Some roadmap Items were a little unclear to us, names and algorythm versions could get a little confusing from our end. - The analytic tracking could be deeper. Events could include which facet was clicked, sorting used, etc. Our E-Commerce solution does not provide merchandising tools and it's search capabilities are really poor. We could have developped a solution of our own but decided to go with SearchSpring to allow our IT focusing on Core projects and quickly leverage the power of a third-party at the same time. We did notice a substential increase of our conversion rate for on-site searches. That had us implementing SearchSpring on a second website and we had the same benefit there. We recently did a few changes to benefit from the full power of their solution for merchandising and are very satisfied so far with the results. Our sales did increase over last year and the time consumed by merchandisers went drastically down. "Great flexible and reliable site search solution"
We have a proprietary website platform and the team at SearchSpring really worked hard with us to streamline the integration and find solutions to problems that perhaps only we would encounter due to the uniqueness of our website platform. They're always willing to entertain our crazy ideas as far as merchandising and marketing as well. Onsite search and faceted navigation with intuitive customer level filtering of products on category pages and search results pages. We have yet to take full advantage of all of SearchSpring's benefits; there are many. The intellisuggest feature has been met with great feedback from our customers. "Helpful, Express Support Service with a fast Growing Innovative Product"
Ashley Hilton, Evan Crumpecker, & James Bathgate have helped me in a timely manner with every little detail to learn this product, solve any complications I had, and gave additional advises in creating a better environment for our website. Thanks for making my life a bit more easier! The product is amazingly growing quick into a more convenient and easy to use way. Though they have attended to my request for additional features (and have made progress with a few in the past), I feel the product could have more detailed minor features. I recommend this product to anyone. This product is very easy to use and straightforward. Analytics are accurate with helpful information for merchandising. Organizing and merchandising products for all search results, category pages, etc. to make navigation through products/pages much easier for our consumers. Without SearchSpring, I wouldn't have enough time to processes through everything. Especially, with the new automated boost algorithm product organizer. Definitely a time saver for me. "Unbelievably Better Than Their Competition!!" Searchspring is hands down the BEST! I won't state names, but we had tried one of Searchspring's main competitors in the past and they failed us miserably. They over promised and never delivered. Searchspring's AI is BY FAR superior and automatically catches alot of customer errors when they are searching and still brings the customer to the desired full product selection. Their systems have been very fast & responsive, have never crashed, unlike their competitor where we had constant slow speeds and system crashes due to our large product size. Our conversion rate jumped immediately upon installation, very quickly paying for the cost of the SearchSpring product and increasing our profits. Customer service has been phenomenal, friendly, knowledgeable, and responsive. Nothing so far! We have been very satisfied so far! We saw that one of the largest areas of issue on our website was our bounce rate when customers were using the native Bigcommerce's search and that it was negatively effecting our conversion rate. We are only about 1 month into Searchspring, so I am sure we will see additional gains, but so far we are seeing very positive and tangible results. "Excellent platform not only for the UX experience, but for the back-end too." The support has been FANTASTIC. The onboarding was smooth, and we got all the support we wanted. Since then, each time any question has come up, we've had immediate help remedying. The back end is particularly useful for creating synonyms and redirects, so customers have zero frustration. It is a little complicated at the very beginning, but the learning curve is not steep. Our customers are using the filters extensively, and heat maps prove the features are a big hit. Fewer people having trouble finding what they want translates in to more sales, and the sales figures prove it. personalized search and filtering options adaptable to individual site needs. Merchandising features for store owners. ROI reporting features and ease of integration with various ecommerce platforms. Customer education on new features could improve. If you run a large ecommerce store with thousands of products, I strongly recommend to get a customized demo based on your needs to see what SearchSpring could do for your business. Way too many features to explain and list in this review. Product findabilty on large stores. Merchandising on the fly without the need of a developer. There is a lot to like about SearchSpring. We have utilized them for one of our e-commerce sites for years and they do not disappoint. They are continually bringing new features to their offering that keeps them as a great partner to work with. They have also helped with some custom features we needed just for our account. Not to much to say here. I guess my frugalness would simply want cheaper pricing. Ability to have customers search through our catalog of more than 300,000 items and find exactly what they are looking for. Having as many products as we do having a customer be able to search and refine down to exactly what they want isn't a nice feature, it is a requirement. "Amazing platform for online businesses!" Search Spring is a very user friendly platform for us to adapt and use. Collections that gets less views do not necessarily show up in the merchandising tab which makes it a little inconvenient for us since we constantly create new collections. More frequent indexing and showing all collections automatically. Merchandising benefits as well as ease of access in tracking sell through. "Great product and Company "
Nothing to note. Our experience with the product and the people has only helped us. Faceted search was impossible for us with our Ecomm platform until we were introduced to searchspring. The boost to our conversion rates and AOV has been significant. Our search results used to be a mess, lacking relevant results. The searchspring algorithm fixed that. Lastly, a misspelled query used to render a non-result on our site. Thanks to searchspring’s use Of synonyms, we are able to deliver relevant results to shoppers regardless of spelling, or cultural differences in naming conventions. "SearchSpring is great team to partner with!" They are experts in the field of search and provide granule level of detail into how search is functioning and how customers are interacting with it. They are supportive and very responsive to all needs and questions. At this point, there is not much that comes to mind except for better cross communication between tech and sales which is difficult to do in and of itself. Look no further then to work with searchspring. A dashboard that provides loads of customization to understand how customers are searching and providing tools to help customers find the right products. "Great Product | Awesome Support Team"
Customer focused. Searchspring is always improving their product to better serve the customer and the customers' customer. Nothing! I truly haven't found anything I don't like about this company or product. On-Site Search. AI search has completely revamped the user experience for our customers. Better reporting enables us to make better decisions about our business model and customer needs. "Best & Most Intelligent Internal Site Search Company for the $"
Their team is brilliant. They are willing to solve problems. 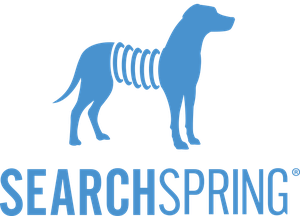 I've worked with SearchSpring for several years and have recommended their solution for internal site search at every workplace I've been since learning of them. Their solution allows a perfect hybrid of machine learning, industry best practices and human intelligence overrides. Not open source with no support and not a "Goliath" that requires a "searchindizing department", just the right installation for the need. Nothing. I love this solution, the company and it's people. Love it for the $. We have used Search Spring for many years across many different websites in our portfolio. The tool is fantastic offering measurable results and an easy to use interface that allows our businesses to grow through advancing our conversation rate. Most impressive is their team of highly responsive and supportive representatives. Their staff goes well above and beyond any team I have scene within online space amongst their peers of tech vendors. It is a pleasure to work with Search Spring! We are happy with all aspects of their offerings. Modern UI, expanding features. GA integration. Great Pricing. Integration was easy and performance was better than SLI. Weighting can be completely custom, but the algorithms have to be built by SearchSpring. Would like to have more self service access to this. Continuously improving and rolling out new developments. Offer assistance for Learning new features and excellent customer support. Our pages were down over weekend -no fault of their’s and they logged in and corrected - free of charge! Easier to find 5000 products! Great customer service and team. Al ways quick to respond in a timely manner. Friendly group. Search spring is one of our leading partners. Our customers are always happy after the integration. Definitely one of our strongest partners. "SearchSpring provides a great product and great service." SearchSpring has an attractive, easy to use UI with solid features. Moreover, their Support team is always highly responsive and knowledgeable. I haven't found anything about SearchSpring that I strongly dislike. We're using SearchSpring with NetSuite's SCA because SearchSpring does searches really well. I do not have any complaints of this product! "Great cost-effective site search solution for Magento implementations"
* We monitor all SearchSpring reviews to prevent fraudulent reviews and keep review quality high. We do not post reviews by company employees or direct competitors. Validated reviews require the user to submit a screenshot of the product containing their user ID, in order to verify a user is an actual user of the product. Hi there! Are you looking to implement a solution like SearchSpring?